Both left side bearings on input shaft and cluster gear shaft are same rubber sealed bearings 6205 2RS. They fail when the grease dries out. Owners that ignore the unbearable howling bearing noise will suffer the kind of damage shown in the previously posted photo. My transmission in September last year. I replaced all six bearings and fitted only open bearings lubed by transmission oil. They don't look like conical bearings, so how does it not blow itself apart? Getrag has got the model number cocked up. Ours is a 450, not a 431. Reason for chosing sealed bearings has to do with bearing life calculations. The two 6205 bearings on left side of transmission have highest loading. Transmission oil is not pure since no filter although the built in magnet will over time catch most ferromagnetic particles. A sealed grease lubed bearing has longer calculated life as long as the grease does not dry out. Above is magnet in my transmission. It is located in bottom of transmission and measures about 50 mm in diameter. 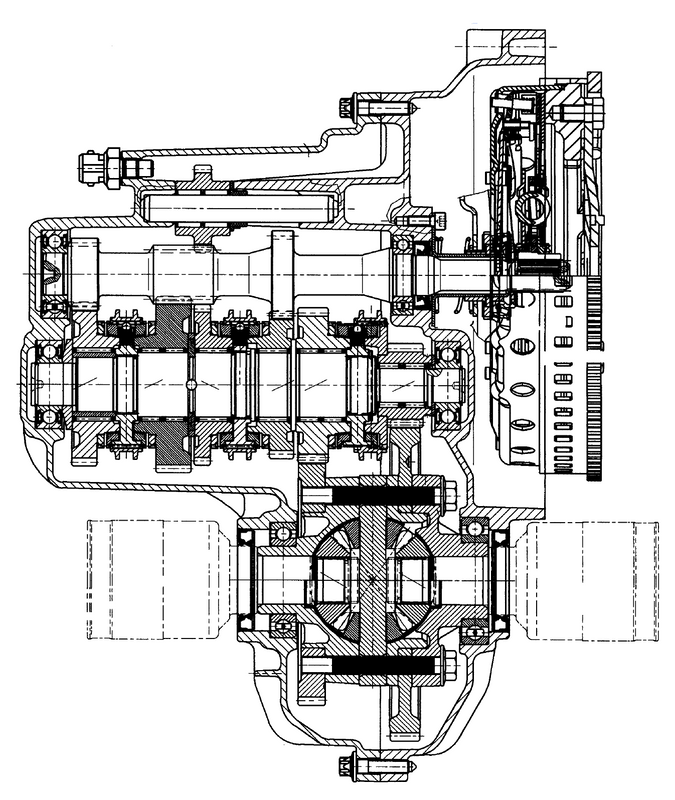 Sectional view of the 450 transmission. Note sealed bearings on left side. This transmission has three sealed bearings. RHS 6005. LHS 6205 RS. RHS 6304 RS. LHS 6205 RS. RHS and LHS viewed from rear towards front of car. Above image shows a pitted and worn out 6305 2RS* bearing with rubber seal removed. Came out of Dieselkiki's Smart 450. *) 2RS means rubber seals both sides. Number "2" is often omitted as can cause confusion and be read as part of main bearing number. Last edited by tolsen; 11-04-2018 at 09:55 AM. MOT duly failed - OS front bearing. No play or roughness - but a pronounced noise when wheel spun. I didn't think noise was a valid reason to fail. Seems odd to me. Me neither. Noise = fail. Play = advisory. Everyday a schoolday. Last edited by pinger; 17-04-2018 at 06:18 PM.